Paradise For The Active Retiree. Mets Training Stadium 5 Minute Walk. 2/2 Waterford Home On A Quite Preserve. 2 Bedroom with Queen bed in Master, 48' TV, Trundle (2 twin beds) in guestroom, 28' TV, 2 Full Baths and Den with a Queen sleep sofa 48' TV. Very spacious Living Dining area with eat-in Kitchen. Laundry Room with full size Washer and Dryer. Nice Patio in back that sits on Preserve. Quite and Serene setting in Culdesac. Community Areas include Large Swimming Pool, Several Tennis Courts, Golf Course, Bocce, Gym, Pool Tables, Card Room, Library, Computer Room, Table Tennis, Theater, Daily Classes and much more. Looking for 4 month minimum. Space: Approximately, 2000 sq. ft. Amenities: Golf Course, Tennis, Gym, Pool Tables, Table Tennis, Bocce, Card Room, Theater, Ceramics, Library, Computer Room, all utilities, central AC, WIFI, HD cable, LED 46” & 40’ HD TV, full kitchen gear, initial paper goods, linens/towels/beach towels, closets/storage. Pool: beautiful, with ample loungers and cover bar area at the large club house. Description: a private, 1 story 2 bedroom home, in a relaxing Zen inspired private preserve in back. All modern furnishings, premium queen bed, trundle bed (two twins) and sleeper sofa, 2 full baths and patio in back on a relaxing Zen inspired private preserve. 2 large Bathroom, Master separate bath and shower. Guest combination bath and shower. Nice eat in Kitchen, plenty of counter space with all necessary tools. Dining area in Kitchen or in Living space seats 6. Two 50" TV's and One 32". Sauna in Gym Locker Room. 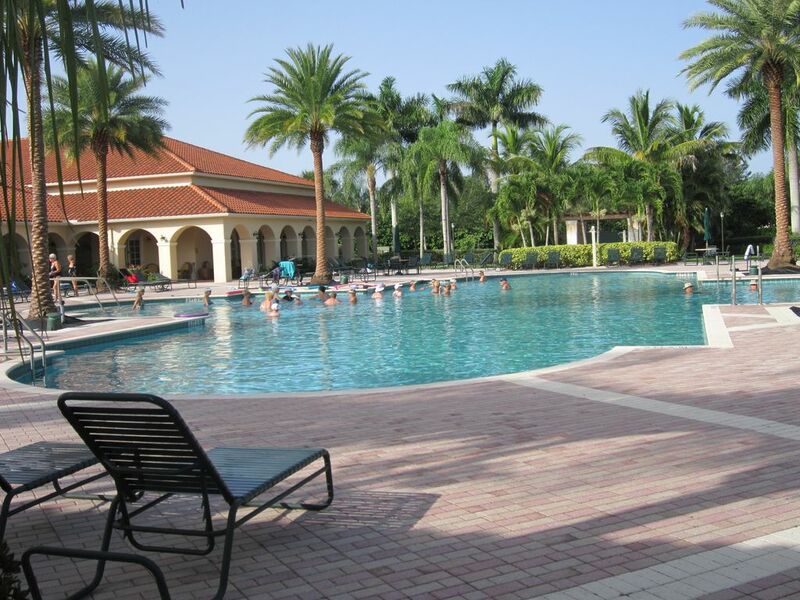 Very Large Community Pool with Bar area, shading, morning Classes and Large Club House. Rate: We can offer you a discounted spring/summer/fall/ of US$2,500 per month. Holiday/high season rate: US$3,250 per month. Holding Dates: simple as 1) Bank wire transfer, 2) PayPal for credit card/bank (most international guests) or 3) most US guests send Two Checks- one for 50% of the rate we deposit and a post-dated check for 15 days prior to arrival for balance - we hold this one until then. Fees from wire transfer (~U$50) and PayPal (4%) paid by guests. NOTE: We only lock dates with deposit- but we will tentatively hold until received (~ 5 days mailing). 15 minutes from Jensen Beach or Hutchinson Island, 30 minutes from Vero Beach Outlet Malls, Downtown Stuart ,Ft. Pierce or Cape Canaveral. 1.5hrs. to the Theme Parks: Disney and Universal Studios. Walking distance to area Groceries, Pharmacies, Boutique shopping, Walmart, Restaurants and much more. This is a self contained Community, with all the amenities imaginable, so you can get involved in one of the many activities offered that day, take a jaunt out to one of the outlet malls or enjoy a relaxing day at one of the preferred beaches nearby. Refund: Money will only be returned if I can re-rent the property for the full term of which it had been rented. If it gets rented for partial term of contract, you will receive a partial refund. Cleaning fee: There will be a cleaning fee of $300.00 which will cover the cost to clean after guests have left.